Extensive choice of escorted tours and holidays for anyone aged 50 plus. Includes touring holidays, river and ocean cruises, city and hotel breaks, and special interest holidays. Also a range of dedicated holidays designed for mature solo travellers. Active singles vacations for ages 30's to 60's. Singles travel trips taking groups to some of the most exotic and interesting places in the world at very reasonable rates. Exciting itineraries that include classic destinations as well as adventure activities like safaris, diving or snorkelling with whales. Making single travel fun! Authentic holidays and soft adventure travel away from the tourist trail in Thailand, Sri Lanka and Brazil. Offering holidays with a difference, an insider experience courtesy of their unique network of local people. Offering mainly private tours for couples or families, plus a few small group departures specially designed for solo travellers. Luxury all-inclusive health retreats for weight loss, fitness, detox, wellbeing and anti-ageing, set in a beautiful award winning venue and spa. Join their exceptional and professional retreat team which includes a doctor, nutritionist, yoga and pilates teachers, personal trainers and holistic therapists; who will offer inspirational and individual care and support. For the single cruiser several of Norwegian Cruise Line ships now offer contemporary studios cabins designed and affordably priced specifically for solo travellers (and with no single supplement charges). Guests in these cabins also have access to a private Studio Lounge to relax and meet other guests. Travel and tours primarily for women only, plus savings for solo women travellers, a leading North American tour operator offering luxury, unusual and inclusive tours for women traveling on their own or with friends. Singles camps and vacations, opportunities for friendship, fun, fellowship and personal growth. Cruising in Turkey, plus group and singles activity holidays and escorted inland tours. This exciting 16-day tour of Cuba is a dedicated singles trip. It will take guests from Santiago de Cuba, the spiritual home of Cuban music and dance in the south east; to Havana, the vibrant capital in the north. The tour explores much of the island and so involves a few long journeys. Excursions and visits include: a guided tour of old and new Havana, a visit to Santa Clara and the Che Guevara mausoleum, a guided tour of Trinidad and a sightseeing tour of Sancti Spiritus. A dedicated singles trip touring traditional Portugal, this is an escorted tour which includes a cruise on the river Douro, a memorable rail trip through the high Douro valley and a 2-night stay in vibrant Oporto on the Douro river estuary in northern Portugal. Guests will also visit a port wine cellar at Vila Nova de Gaia, take a Lamego town tour, visit the baroque sanctuary Nossa Senhora dos Rémedios and take a tour of Quinta da Aveleda wine lodge estate. An alternative way to travel solo in North America – Loners On Wheels run an international singles club for RV (recreational vehicle/cmpervan/motorhome) lovers in the USA and Canada. 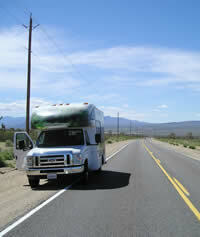 This is a club open to single men and women who enjoy travelling, camping, RV caravaning and a single lifestyle. The club is dedicated to anyone who enjoys travelling alone, but who also likes to meet up with other single people for activities and entertainment. Guests are welcome at all local activities and anyone can join the club online via their website. The club has 50 regional groups across the USA and Canada. These run monthly campouts, dinners out, potlucks, travelling and RV lifestyle tips and tricks, trips to Mexico, rallies and more! They are not a dating or matchmaking service, support and companionship with like minded travellers is what they're about. For singles we have a dedicated Facebook page where we post useful specialist travel articles, news items and travel and holiday competitions related to solo travel. It's also where we let members know about our travel deals, announcing when our offers and late availability pages have been updated and when exclusive singles offers have been added. Come and join us there! This is a follow-on page in the Travel-Quest singles holidays section, please go to the opening page for the full category definition.